Bobby- thank you very much!! Thank you, Roberto, for finding this and commenting on it- sure appreciated!! 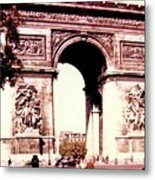 I see you also have a photo of the Arc de Triomphe, Will! And it's even more cool as it does not only look old, but it really is! The cars and the clothes of those people are simply impossible to reproduce. Great photo! ~Roberto. 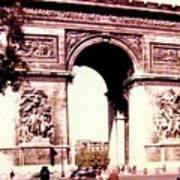 Thank you, Juergen, for singling this out and commenting on it!! I like this too ... the nostalgic value is priceless! 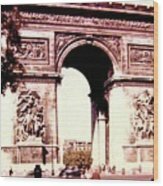 From a vintage 35mm color film photo taken in Paris, France in 1955. 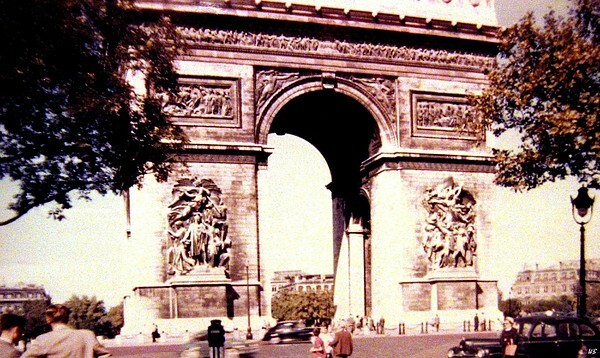 "Arc de Triomphe 1955"